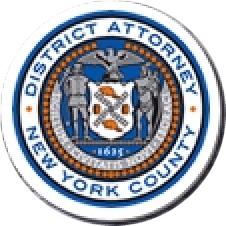 Manhattan District Attorney Cyrus R. Vance, Jr., today announced the sentencing of STEVEN HERNANDEZ, 45, to 2-to-6 years in state prison for stealing hundreds of thousands of dollars from local businesses through schemes involving refinancing and leasing agreements for copy machines. On April 21, 2017, the defendant pleaded guilty in New York State Supreme Court to Grand Larceny in the Second Degree, Identity Theft in the First Degree, Criminal Possession of a Forged Instrument in the Second Degree, and Scheme to Defraud in the First Degree, among other charges. As admitted in the defendant’s guilty plea, between September 2012 and March 2014, HERNANDEZ, a copy machine vendor, defrauded multiple Manhattan-based companies and businesses through a scheme involving the refinancing and leasing of copy machines. Under the pretense of purchasing new equipment or negotiating financing, the defendant convinced victims to enter binding lease agreements. However, instead of using the funds from the lease agreements to facilitate the promised transactions, HERNANDEZ spent it on luxury cars, merchandise, travel, meals, and other personal expenses. As part of the scheme, the defendant also agreed to buy out companies’ existing lease obligations with money from new lease agreements facilitated by the defendant. HERNANDEZ, however, produced inaccurate lease agreements, fake invoices, and forged documents that caused his victims to become bound to copiers that the victims had already leased or did not agree to contract. In total, the defendant managed and assisted with multiple fraudulent deals amounting to more than $345,000 in theft from the victims. Between June and August 2013, HERNANDEZ also participated in the theft of more than $200,000 from two lease financing companies by providing them with fake lease agreements, invoices, and other documentation that bound the victims to lease financing agreements for copy machines were never ordered nor authorized. Former Assistant District Attorney Lisa Zito and Assistant District Attorney Kofi Sansculotte handled the prosecution of the case under the supervision of Assistant District Attorney Judy Salwen, Principal Deputy Chief of the Rackets Bureau, Assistant District Attorney Archana Rao, Chief of the Financial Frauds Bureau, and Assistant District Attorney Michael Sachs, Chief of the Investigation Division. Supervising Investigator Jonathan Reid, Investigators Michael O’Brien and Gerald Bergold, and Forensic Account Investigator Jeffrey Leap provided valuable assistance with the investigation. Former Forensic Account Investigator Susan Ryan and Former Senior Investigative Analyst Michelle Hershkowitz also aided with the investigation. District Attorney Vance also thanked the following for their cooperation and assistance with the investigation: St. John the Baptist Church, the Law Offices of Spar & Bernstein, IsramWorld, Murray Hill Medical Group, Xerox Financial Services, Pacific Office Automation, and Service Comp. Business Systems, Inc.